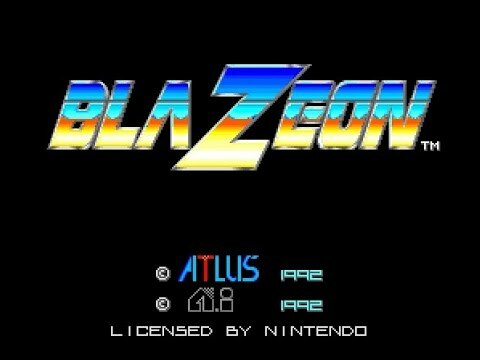 Blazeon is a space shoot'em up made by A.I. and published by Altus in 1992. 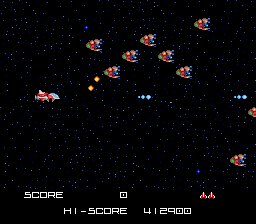 It was originally released in arcades earlier that same year. 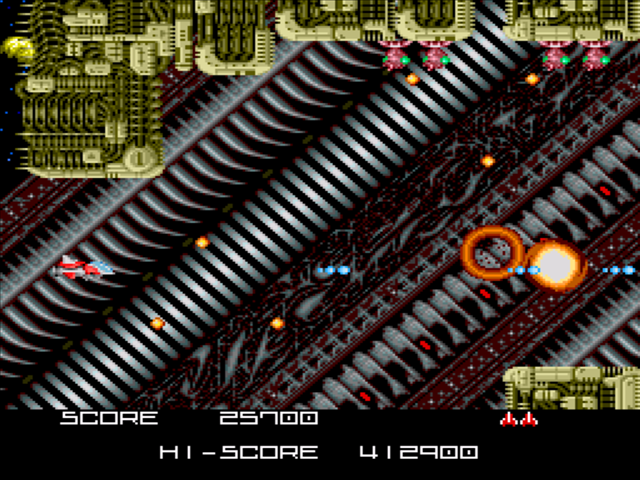 You play as a rebel forces pilot fighting off against the bio-cyborgs. The X and Y buttons lets you shoot your beam vulcan. The A and B buttons lets you shoot your tranquilander. You can capture certain enemies in this game by using your tranquilander. You can only take one hit and you only have 3 lives. Lives are awarded at 300,000 points. Now you can add videos, screenshots, or other images (cover scans, disc scans, etc.) for BlaZeon - The Bio-Cyborg Challenge (USA) to Emuparadise. Do it now! If you haven't noticed yet, we have a retro game of the day feature (top-right of the screen) wherein we feature a new retro title every single day! Now, you can vote for your favorite games and allow them to have their moment of glory. 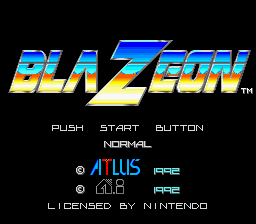 Click on the button below to nominate BlaZeon - The Bio-Cyborg Challenge (USA) for Retro Game of the Day.